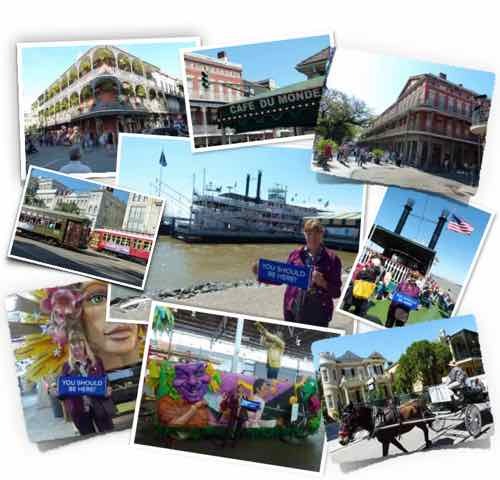 New Orleans is always a fun destination... good for a weekend or a week. And it doesn't matter what time of year. That makes it a great choice for almost everyone. ...but you can get a real taste of the Crescent City over a long weekend like we did on this one. This particular visit to The Big Easy started with cocktails on Bourbon Street... Can you imagine? We went to Mardi Gras World for a behind the scenes look at Mardi Gras floats. We even had a lesson in mask making. We went across the mighty Mississippi late one afternoon to see the city light up from Algiers Point. And we were treated to songs by a musician who did a great job with Louis Armstrong songs in one of the French Quarter courtyards. Of course we explored Jackson Square and all the surrounding buildings. We were only there for a long weekend. If you have longer, you can focus on all kinds of things like food or jazz or history… or Halloween. Mardi Gras World was fun. See the street cars that run on Canal Street. Ride a real steamboat, the Natchez. Our Captain assured us it was the fastest steamboat on the Mississippi... not that your cruise will be all that fast! There are many historic houses and museums to visit. 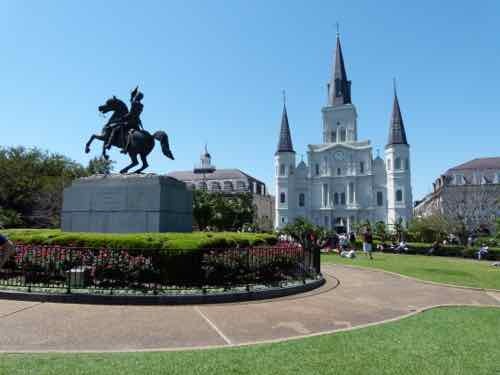 Sit for a while in Jackson Square in front of St. Louis Cathedral. At least once in your life you should stop at the Cafe de Monde and have coffee and beignets. This is such a tradition it is as much a tourist sight as it is a food venue. We went straight to the Rock ’N’ Bowl the first night we arrived to hear some Zydeco. 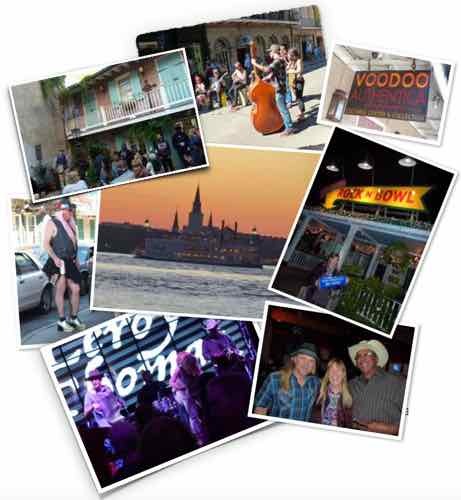 There is music everywhere… day and night… delivered by serious musicians, street musicians, and sometimes by some of the colorful characters that you’ll find in the city. Plan to gain a few pounds. You can find good food almost anywhere in the French Quarter. And don't forget the Garden District and other neighborhoods. Top Cajun chefs started restaurants in New Orleans and popularized Cajun food all over the world. We had great meals at Chef Paul Prudhomme’s K-Pauls Louisiana Kitchen and at Emeril Lagasse’s NOLA. 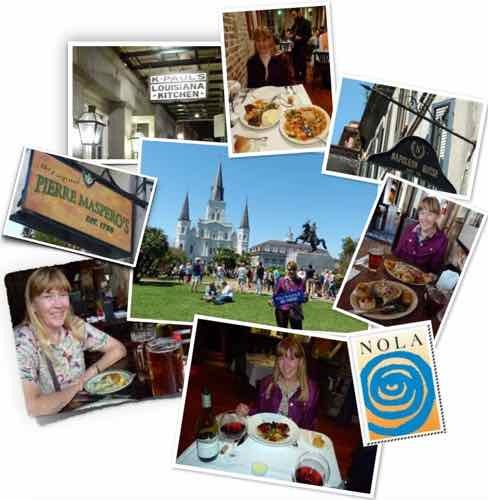 We stopped for sandwiches or crab cakes or po’ boys at historic bars like the the Napoleon House… a 200 year old landmark or the Pierre Maspero’s in one of the oldest buildings. There are plenty of places for a quick bite. If you want beer or cocktails and a raucous time, just stroll down Bourbon Street… day or night!